evening swans, originally uploaded by jahansell. I wonder if one stays on guard all night, or if eventually they both go to sleep? Very beautiful. I like how that one just curls it's neck around. 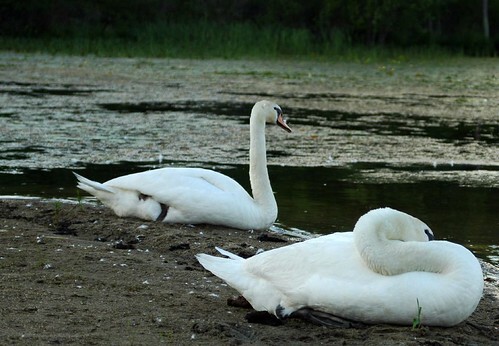 Lovely pic of the beautiful swans. I was taking photos of swans and their cygnets myself yesterday. Love your photo...such graceful birds till the hiss at you!